Contest – Happy Pirates De Mayo!! It’s May, and that means it’s time for Pirates De Mayo!! For the pirates of The Spiral, this is a very special celebration filled with fun and games and pie! Ok, maybe I added the part about pie… But the rest is totally true! And to celebrate, Ditto has a fun and exciting contest!! In the spirit of this wonderful holiday, tell Ditto what your pirate and crew do to celebrate Pirates De Mayo! Send an email to dittopirate@gmail.com with the subject ‘Pirates De Mayo’, tell me what Pirates De Mayo tradition your captain has, and make sure you include your captain’s name. 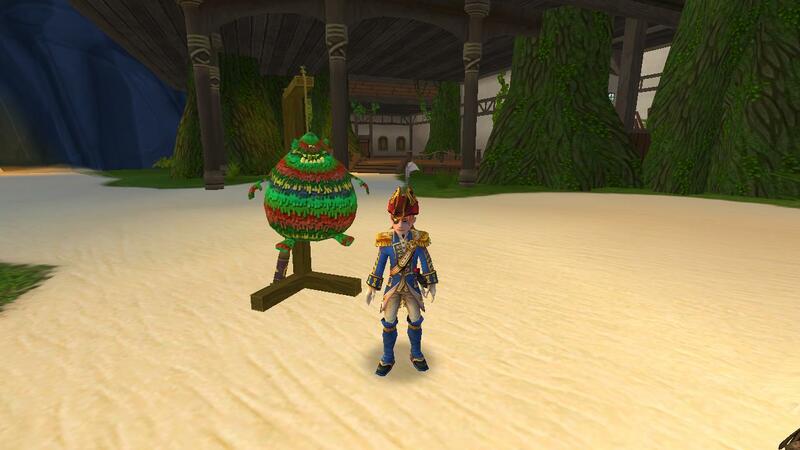 On Sunday, May 5th after 6pm EST, I will select 15 winners to receive special Pirates De Mayo codes that include 2500 crowns and the exclusive Gobbler Piñata! Have fun, good luck in the contest, and as always, Play Safe!!! This entry was posted on May 2, 2013 by dittowizard. It was filed under Contest, Pirate101 .